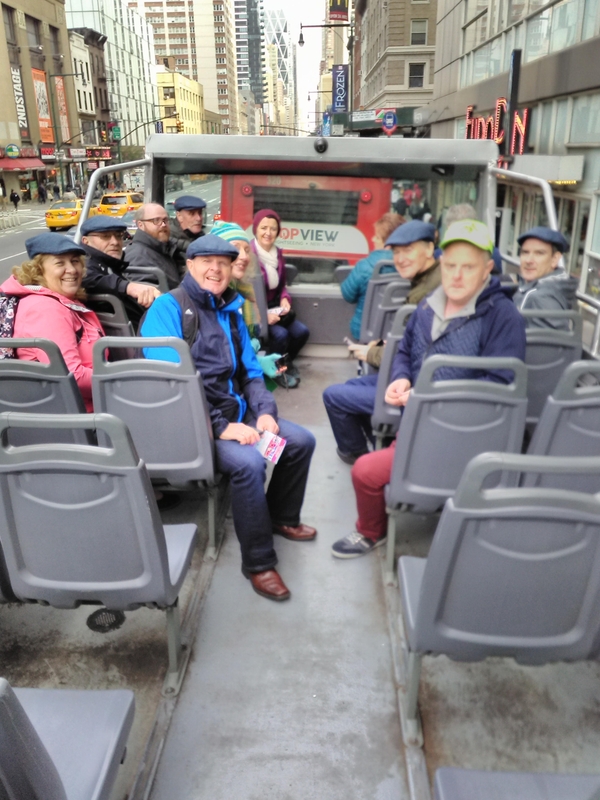 In early 2017, members of Leghowney drama group decided to mark their 80th anniversary by organising a trip to New Jersey and bring their production of A Wake in the West to the US. Contact was made with Leghowney native Phil Cassidy who has been living in New Jersey for the past 30 years. Phil and a number of his colleagues, including Donegal ex-pats, began the task of finding a suitable venue and constructing a replica of the stage in Leghowney Hall. The props were donated by 19 families in the New Jersey area. 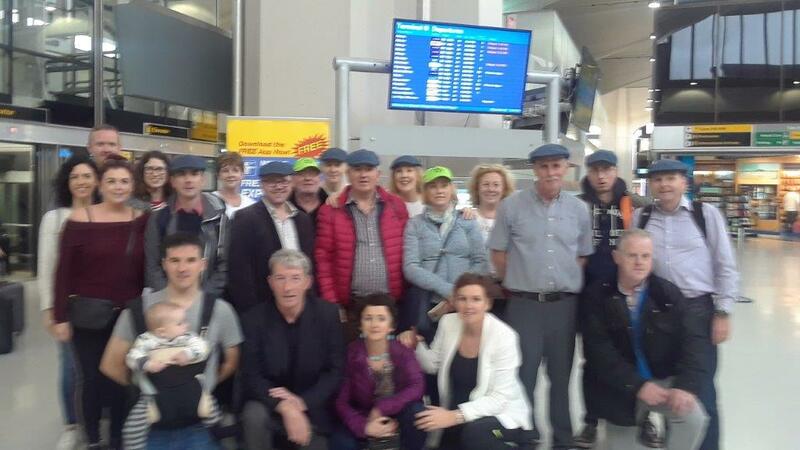 On Thursday, October 25 the 30-strong drama group arrived at Newark Airport. 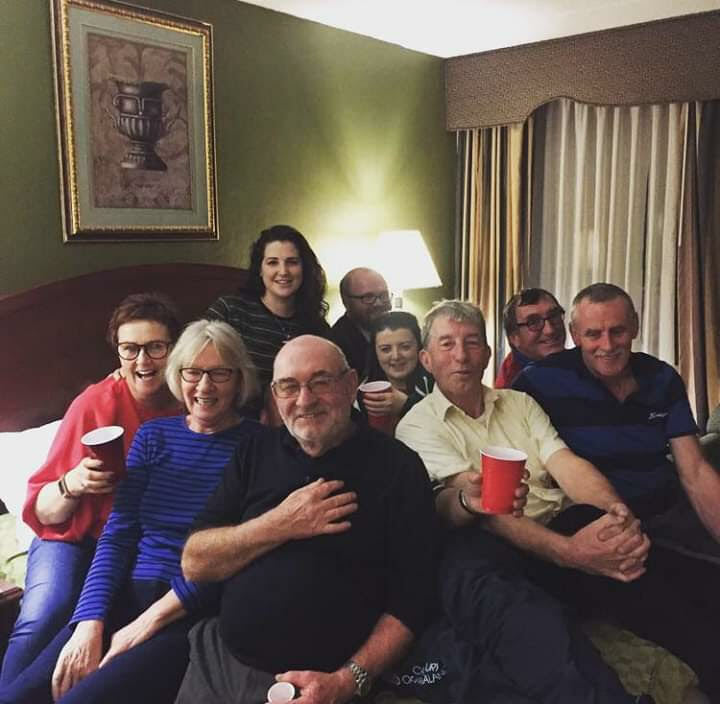 To coincide with their visit, a number of Irish Americans, namely Cassidys, decided to organise an informal Cassidy gathering in Tommy Fox's bar. It was standing room only as relatives arrived from various states. Quite a number of those present are planning to visit Donegal in 2019. At 8.30pm on Saturday night, October 27, the curtains opened, and so began the Leghowney Drama Group’s presentation of this hilarious comedy. And what a presentation. It was truly a sight to behold, 3,000 miles away from home and performing in front of a different type of audience. Those taking part were simply magnificent. When the show ended they were given a standing ovation. Many of those in attendance remained on in the hall to meet the cast and backroom team. There was little time for celebrations, the second performance was being staged the following afternoon. On this occasion the majority of the audience were Donegal ex-pats and people from along the western seaboard. The question was, could the Leghowney players repeat the previous night’s performances? We need not have worried, if anything it was superior to the previous night performance. Later that evening the Drama Group were presented with a special proclamation, issued by the State’s Executive, on behalf of its one million residents and especially its more than 100,000 residents of Irish descent who live in New Jersey. It is quite an achievement as only three States in the Union issue such a proclamation. Leghowney Dama Group wish to acknowledge and thank the following: Hanna Hats, Donegal Town, Gerry Flood, founder of ASCPG. 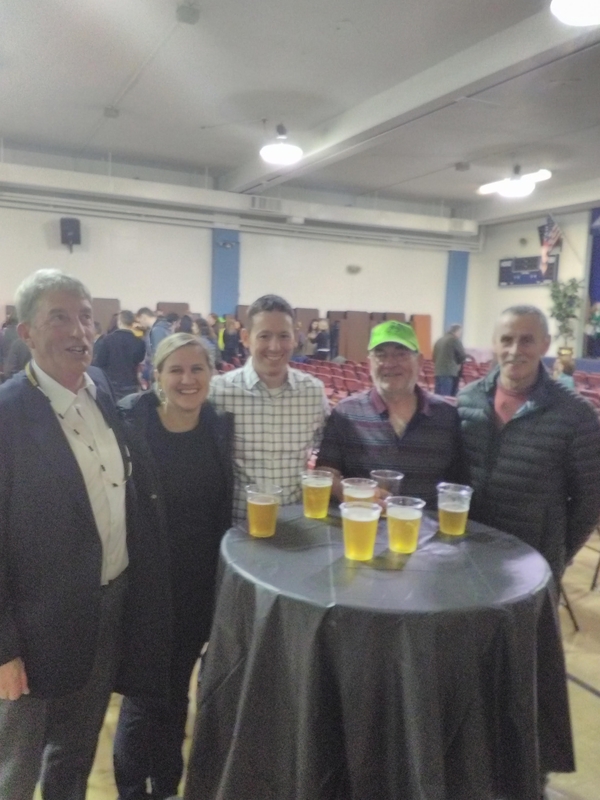 Members of the ASCPG; Norm Saunders and his wife Claire; Tommy O Reilly; Fr Sam Citro; Ticket-seller and Sligo native Josie Cahill; Management and staff at Tommy Fox’s bar/restaurant and J.J’s bar New Jersey. Last but by no means least, thanks to Phil Cassidy without whom the trip would not have been possible.